So what should we aspire to change in the next decade? To my mind, many of the changes that will occur in collections management and use will be driven by public demand. I want to look at just a few trends which museums must adapt to – namely: transparency, accountability and democratisation. First – transparency. We are already on this journey, but it is clear that the public are going to expect far more than today to understand what museums hold and what for. The internet is undoubtedly the key factor in this – users increasingly expect to be able to search for and find what they’re looking for. This is a goal that we have been quietly working towards for years. Making collections more accessible through digitisation, research and interpretation. But many rightly point out how innovation in the front-end has come from outside the sector – through google and ArtUK – but built on the back of years of behind the scenes work from museums themselves. This is a journey that has only just started, and museums need to think about how they can provide the public with what they want, and get the recognition that they deserve. More transparency means more accountability about what museums have and what they do. How are decisions made about collections? Who is involved in that process? What was an obscure process done by experts is increasingly on public show – and that’s generally a good thing. But audiences are also asking why museums are happy to sit with 95% of their publicly-owned collections in storage – ostensibly to little public benefit. We need to demonstrate that we are capable of dynamic collections management that responds to a public need. The last force that I want to consider is a more positive one. With transparency and accountability comes greater democracy. That is, we ought to see a greater sense of public ownership of what are, after all, public collections. This is a scary prospect for some – it can mean relinquishing control. But while we ought to acknowledge that the public want to hear from people in museums who really know what they’re talking about, they increasingly want to be involved in a two-way conversation about our collections, have a greater say in how they are used and what should be collected to tell the story of now. Socially and technologically, we can’t ignore the fact that society and our institutions are becoming more permeable. Museum collections are part of that process too. And we should see this as the opportunity that it is – an opportunity to work with external expertise, to work in partnership with other organisations, to engage communities with our collections. Doing so is good in its own right. We ought to be delivering tangible impacts for society. But having that democratic involvement in our institutions is also a means of ensuring the ongoing relevance and trusted status of museums. These are just a few ideas about some of the things that are coming down the line. 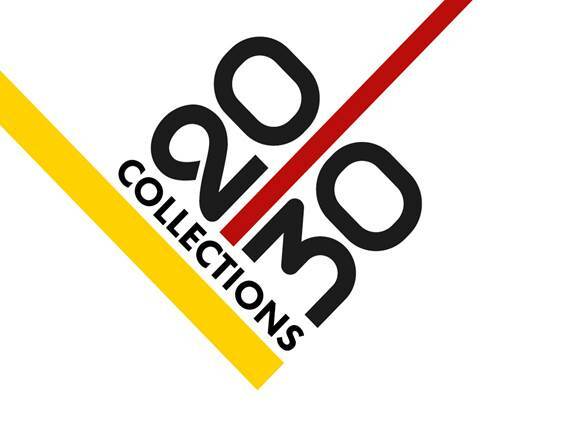 Through Collections 2030, we want to understand these issues and others so that we can prepare for the future, and we want to work closely with NatSCA and other SSNs to make sure that we can set out a vision that will work across the whole museums sector.